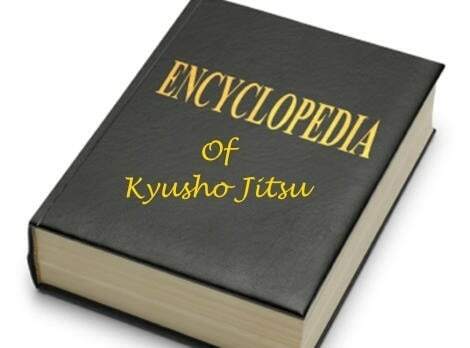 Welcome to the Encyclopedia of Kyusho Jitsu Project. Current we are working only on the "web" edition, however it is from there that the mobile devices will be based. This is an ongoing, never ending project that will grow and expand over time! Now is the very best time to get involved with the project! The most ambitious product I have ever taken on, the Encyclopedia Of Kyusho Jitsu will be the consummate pressure point science ​reference. This ​web / Application will cover the A to Z of everything Kyusho Jitsu. This will be the ULTIMATE reference for the Kyusho Jitsu Student. What is in this Encyclopedia? Here is a breakdown of the contents in this all new project. Reference for Principles and theories. And much more as the work progresses! ​The first phases is the web edition. This is a members only site, for those who have purchased the encyclopedia via the application. This purchase allows access to the web editions as well as the upcoming mobile apps. All access, one purchase! There will also be a Spanish edition! ​On the, web, phone or tablet application you will have “hyperlink” references to a “private” members only website that will deliver the requested content right to your phone, hence making referencing anything Kyusho easy! The content will be a combination of text, audio or video depending on the reference. The content will grow over time, and really never be finished. When will be be available? That is the million dollar question? This is an ambitious project and I am estimating it will begin to come online in ​summer of 2018. There will be hundreds of hours of work involved in this project​! ​The final few days of this great preorder price are upon us! When you preorder you get FULL access to the online version of the encyclopedia immediately as it develops and grows. Once the applications are read you will be notified and can then download what you need for the platforms you use! Right now Android and iPhone are the ones in the development planning stage. ​This is the ONLY Kyusho Jitsu Reference you will ever need! ​PreOrder NOW for IMMEDIATE Web Access!